DESCRIPTION OF THE BOOK: Back in the days of long skirts and afternoon teas, young Joan Procter entertained the most unusual party guests: slithery and scaly ones, who turned over teacups and crawled past the crumpets…. While other girls played with dolls, Joan preferred the company of reptiles. She carried her favorite lizard with her everywhere–she even brought a crocodile to school! When Joan grew older, she became the Curator of Reptiles at the British Museum. She went on to design the Reptile House at the London Zoo, including a home for the rumored-to-be-vicious komodo dragons. There, just like when she was a little girl, Joan hosted children’s tea parties–with her komodo dragon as the guest of honor. With a lively text and vibrant illustrations, scientist and writer Patricia Valdez and illustrator Felicita Sala bring to life Joan Procter’s inspiring story of passion and determination. MY TWO CENTS: This picture book encompasses the biography of reptile scientist, Joan Procter. The story begins by contrasting the ‘cold scaly’ interests to her peers, which eventually lead to her passion in science, specifically zoology. Joan proves many people wrong as she goes above and beyond in her work and research, even during the war. Her hard work and effort land her an opportunity to organize a public display of reptiles at the London Zoo, including Komodo dragons. The illustrations vibrate throughout its textured lines and solid colors, especially in the reptiles. Their colors stay true to their nature, yet enhance the illustration to make it fun for children. The author also includes a thorough biography at the end with a bibliography for readers to extend their own research on this phenomenal scientist! One word-inspirational. Joan found her passion at a young age and proved her worth as a woman scientist. This book follows her journey of finding her reptilian passion and demonstrating perseverance in her personal and professional journey. In this biography, the reader learns about a scientist who not only studies animals, but also diagnoses and treats them to their best health. Overall, a must add to your library and future read alouds for all readers. TEACHING TIPS: There are a variety of ways to implement this book within your literacy block. In reading, teachers can highlight Joan’s character traits and how it influenced the trajectory of her life events. Readers can also compare other woman scientists and contrast historical events or challenges. The book also provides multiple opportunities to teach rich vocabulary words that describe reptiles and expand knowledge of adjectives. 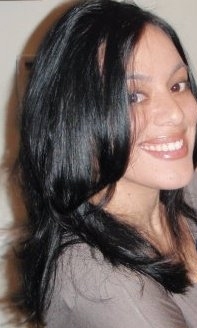 ABOUT THE AUTHOR: Patricia Valdez is a scientist who loves writing for children. She earned her PhD in molecular and cell biology from the University of California, Berkeley, and works at the National Institutes of Health. Originally from Texas, she now lives in the Washington, D.C., area. This is her first picture book. Visit her at PatriciaValdezBooks.com and follow her on Twitter at @Patricia_Writer. ABOUT THE ILLUSTRATOR: Felicita Sala is a self-taught artist who studied philosophy at the University of Western Australia. She has worked on several animation projects, but her passion is making picture books. Felicita lives in Rome with her husband and their daughter. Visit her at FelicitaSala.com, FelicitaSala.blogspot.com, and Instagram.com/felicita.sala. MY TWO CENTS: Through the voices of talking animals, Alidis Vicente brings us a rhyming children’s book about prejudice and acceptance. Nancy Cote’s illustrations, founded on acrylic paintings and a pastel colors palette, supports the sympathetic approach of the story. This is the second collaboration between Vicente and Cote, and is one of those children’s books that uses animals to provide a voice of justice and a moral tale at the end. Alidis Vicente uses the opportunity to talk about prejudice and differences and successfully moves beyond the tired “we are all the same” trope. Through a simple story, she challenges colorblindness and provides the characters of this narrative (and readers) the lens to acknowledge differences among their habitats (communities). It is then that communities should work to challenge, minimize and, finally, eradicate prejudice and oppression due to our differences. Although books with talking animals may hinder children in the understanding of social issues, adults can play a role in guiding children to situate what was discussed to their own lives and their surroundings. 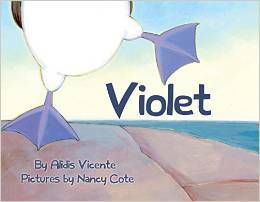 TEACHING TIPS: Violet is a great picture book for K-3 grade students and it successfully intersects Language Arts, Science, and Art. Language Arts teachers can incorporate this book in their classrooms and provide students the opportunity to learn new words, while enriching their vocabulary regarding fauna terms, verbs, and adjectives. The book includes a glossary with definitions and pronunciations of some words used in the story. Teachers can also give meaning to those new words and the story’s plot by encouraging a discussion around prejudice and differences. Science teachers can use the book to teach students about different species, habitats, and biodiversity. The book incorporates several illustrations of different animals with their specific physical attributes. In collaboration with Art class, students can draw and paint images of sea lions, iguanas, seabirds, and whales, while learning about their distinctive features, habitats, and endangered species. AUTHOR & ILLUSTRATOR: Alidis Vicente is a stay-at-home mom from New Jersey who began writing children’s books once her son was born. She graduated from Rutgers University and worked for New Jersey’s Division of Youth and Family Services before focusing on her career as a writer. Vicente is the author of The Coquí and the Iguana (2011), The Missing Chancleta and Other Top Secret Cases (2013). The Missing Chancleta won first place in the Best Youth Chapter Fiction Book (Spanish/Bilingual Category) in the 2014 International Latino Book Awards. You can also read her guest post on Latin@s in Kid Lit. Nancy Cote is a children’s books author and illustrator from Massachusetts who earned her B.F.A. in Painting from the University of Massachusetts-Dartmouth. Her books have won several awards including the Oppenheim Toy Portfolio Gold Seal Award, 1996 Notable Children’s Trade Book from The Children’s Book Council and the National Council for Social Studies, Florida Reading Association Children’s Book Award, SSLI 1999 Honor Book, She has illustrated various picture books, such as Flip-Flops (1998), I Like Your Buttons! (1999), Hamster Camp: How Harry Got Fit (2004), Mrs. Fickle’s Pickles (2006), Ella and the All-Stars (2013) and Watch the Cookie! (2014).